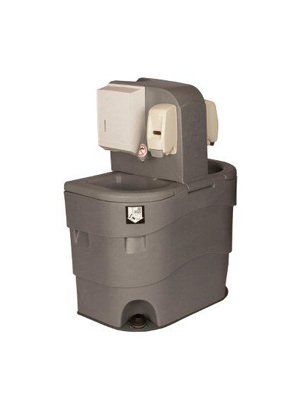 Ensure your guests, visitors, workers, or attendees have access to full hygiene with a portable sink solution from C&L Sanitation, Inc. We offer a range of portable sinks that are suitable for any occasion from upscale events to busy work sites. The Sani-SinkTM is a portable hand washing station and water unit and is now available to rent through C&L Sanitation. With a standard electrical hookup, this portable sink provides heated hand washing water with no maintenance required. 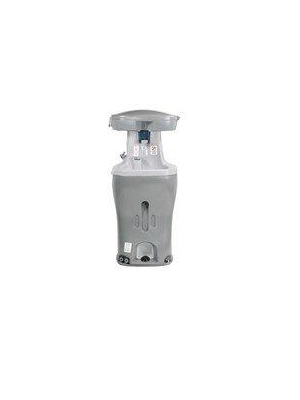 Simply change the 5 gallon sealed water jug as and when needed. The Sani-SinkTM is the perfect companion for our portable restrooms and a welcome amenity at any event. Looking for a versatile freestanding hand wash station that is perfect for small to medium-sized events or sites, look no further than The Tag A Long Sink. Compact and self-contained, the two station sinks come equipped with fresh non potable water, soap dispenser and paper towels. The Two Station Sink is designed to accommodate approximately 100 – 150 hand washings. 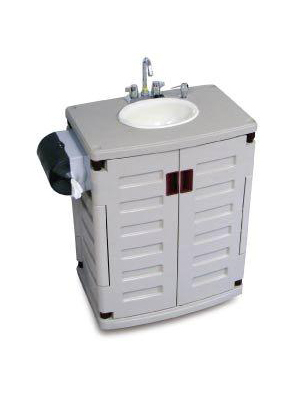 Talk to C&L Sanitation, Inc. today to find out more - our team will be more than happy to advise which of our portable sinks is the right fit for your needs.